296 AmeriCorps members and Senior Corps particiapnts responded to the 2016 West Virginia Floods. On June 23, 2016, multiple communities in West Virginia experienced historic 100 year flooding due to severe storms and rain. According to the National Weather service, as much as 8-10 inches of rain fell in 12 hours, resulting in 23 fatalities and displacing hundreds of people. Local AmeriCorps programs responded almost immediately with cleanup efforts, donations, and Volunteer Reception Center operations. In partnership with the State Emergency Management Agency, FEMA, Volunteer West Virginia, the Governor-appointed state service commission, and volunteer agency partners, AmeriCorps members and Senior Corps volunteers conducted damage assessments, supported eight Volunteer Reception Centers, removed debris, mucked and gutted more than 60 homes, sorted more than 125 tons of donations, and coordinated more than 1,050 volunteers. These response operations were supported by AmeriCorps Disaster Response Teams (A-DRT's)from AmeriCorps St. Louis Emergency Response Team, St. Bernard Project, Washington Conservation Corps, Great Appalachian Valley Conservation Corps, and Hoopa Tribal Civilian Community Corps and the National Civilian Community Corps. AmeriCorps Disaster Response Teams are CNCS’s elite, specialty-trained crews deployed at the request of local and federal emergency managers. AmeriCorps VISTA members are assisting in community efforts to recover and rebuild. AmeriCorps VISTA members from the VISTA Collaborative at West Virginia University are partnering with West Virginia VOAD to develop deployment and disaster manuals, a cell phone application to quickly and efficiently register and mobilize volunteers, as well as teaching students and communities how to best respond in a disaster situation. 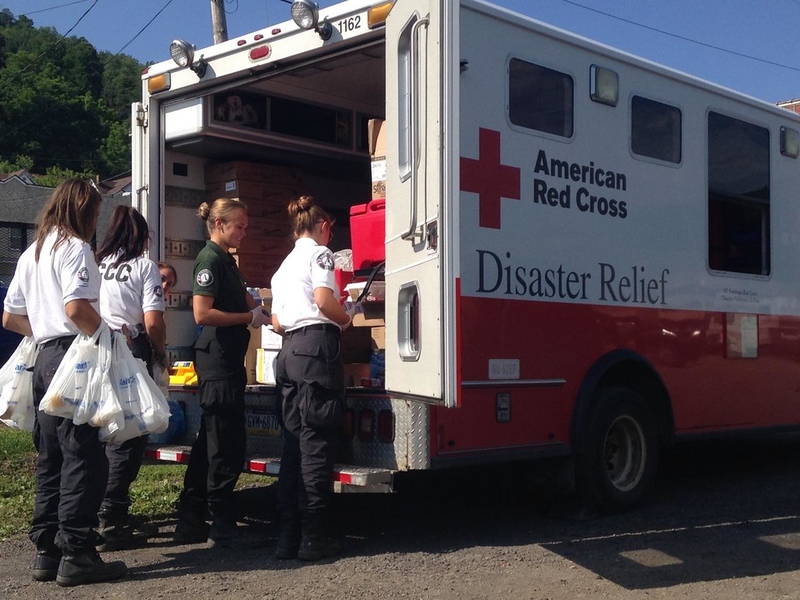 In addition, West Virginia Strong Resilience AmeriCorps VISTA members, overseen by the state service commission, are securing donations, managing volunteers, and developing partnerships with local, state, and national organizations assisting in disasters. Volunteer West Virginia worked with local partners and citizens to coordinate tracking and registration for more than 3,128 unaffiliated volunteers at Volunteer Reception Centers as of 7/25/16. To date, these unaffiliated volunteers served 34,812 hours at a value of more than $791,626.24.